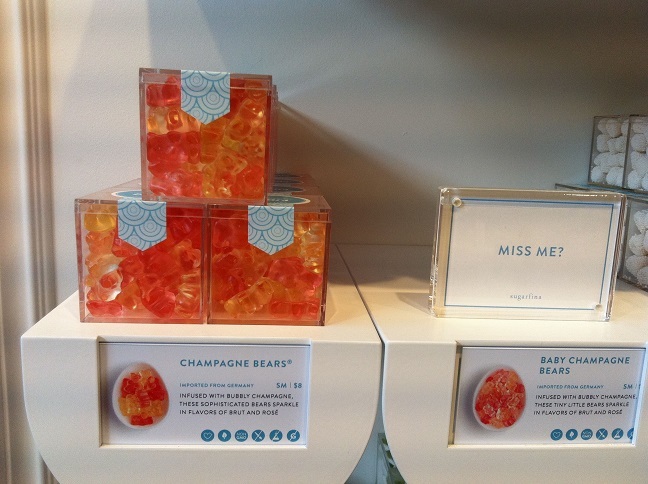 I finally got the chance to visit Sugarfina, which I mentioned awhile ago in a previous Wallflower Weekly Faves post. They have soo much candy. Over 100 different types and imported from all over the world. This was only a small selection that I took a photo of. Those Champagne Bears. My new favorite candy. If only they didn’t cost a fortune. You can even add individual boxes to a larger gift box as a present. It was definitely a luxury candy shop. And I felt soo out of place in my scrubs. I am still obsessed with Taylor Swift’s Bad Blood. Rumors are Amazon will be launching a crafter’s site to compete with Etsy. I love how this abandoned house is transformed with fresh flowers. Oh my god! Strawberry Coconut Macaroon. Is there a better combo? Funfetti Layer Cake! I need a slice of this. Smoked Cheddar and Cherry Jam Pastry Pop Tarts. Puff pastries at its finest. I love pistachio ice cream and mint chip ice cream. Separately. Now, mix them together and you get pistachio mint chip ice cream. Heaven! Oh my god! Look at this Very Berry Dream Salad with Chili Mango and Peanut Vinaigrette. I feel I can eat this for days! Nutella Stuffed Churros. Do we really need to say more? Chocolate Brownie Peanut Butter Swirl Ice Cream. Ahh. All my favorite things in one. The colors in this Easy Mexican Chicken Quinoa Casserole. Love. It takes just 15 minutes to create this 15 Minute Spicy Shrimp with Pesto Noodles. Shrimp Fajitas in Foil sounds so simple to make and absolutely amazing. This Frozen Peach Bellini is just perfect for summer gatherings. Have I mentioned that I love lemonades? Well, this Blue Cinnamon Lemonade certainly takes it to the next level. I mean, look at it! Don’t you just want a glass? Or two? This entry was posted in Recommendations, Wallflower Weekly Faves and tagged wallflower weekly faves. I gotta try those champagne bears! 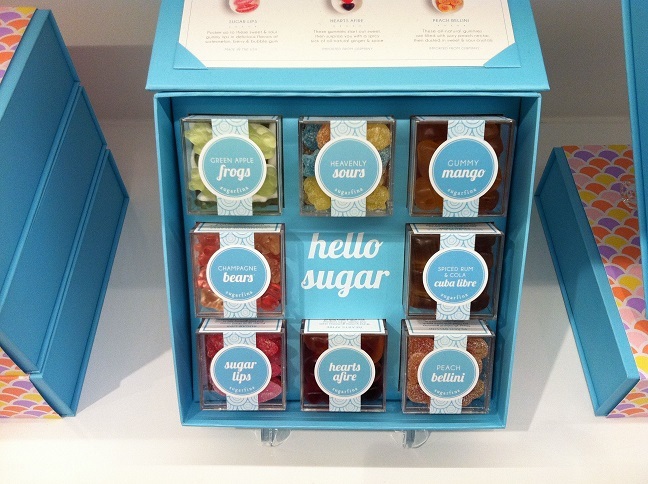 Sugarfina is one of my favorite indulgences! I love the champagne bears as well. The hearts afire are also delicious! 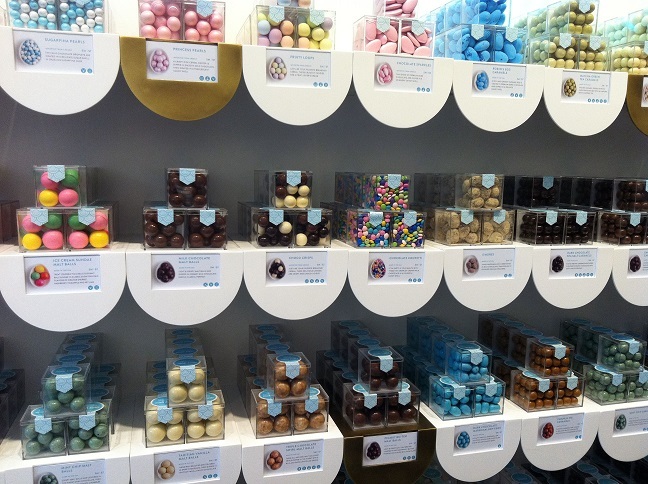 I just went to the new SF Sugarfina store, too! It’s so pretty in there. I think their gummies are really great – I just can’t bring myself to pay that much, that often, to have candy! I know! It’s a major splurge. But I love the champagne bears! The champagne bears are really good. The only downside is that they’re expensive. Sugerfina looks like an amazing store! I want to visit and just buy everything!! Yum! Whoa! What a Candy Store! HAHA… You’re a Dentist right? Am I right..But you love sweets..It’s irony.. haha!